Photo: (left to right) Mark Politte, Owner of Stanley Scooters, Lisa Parsons of Bar Harbor Bank & Trust, Alison Beane, Executive Director of Island Housing Trust, Debbie Mitchell-Dow of Bar Harbor Bank & Trust, and Tom Wheeler, Sales Manager at Darling’s Auto Mall gather at Kebo Valley Golf Club in Bar Harbor. Bar Harbor Bank & Trust’s 25th Annual David R. Harding Memorial Golf Tournament is being played at Kebo on June 5, 2018 to benefit the Island Housing Trust. There will be two hole-in-one contests where the prizes are a new Vespa Scooter from Stanley Scooters and a 2018 Buick Encore from Darling’s! For more information and to register call 667-7100. BAR HARBOR — Bar Harbor Bank & Trust’s 25th annual David R. Harding Memorial Golf Tournament will benefit Island Housing Trust. The golf tournament will be played on Tuesday, June 5, at Kebo Valley Golf Club in Bar Harbor. For information, call Nataleigh Flint at Bar Harbor Bank & Trust 667-0660 ext. 11022 or visit www.bhbt.com. “IHT is so pleased to have been chosen as the beneficiary of Bar Harbor Bank and Trust’s annual Harding Memorial Golf Tournament fundraiser. The honor is a special measure of community support for our mission. We look forward to using the proceeds to provide another housing opportunity for a year-round working individual or family on MDI,” said Alison Beane, Executive Director at Island Housing Trust. 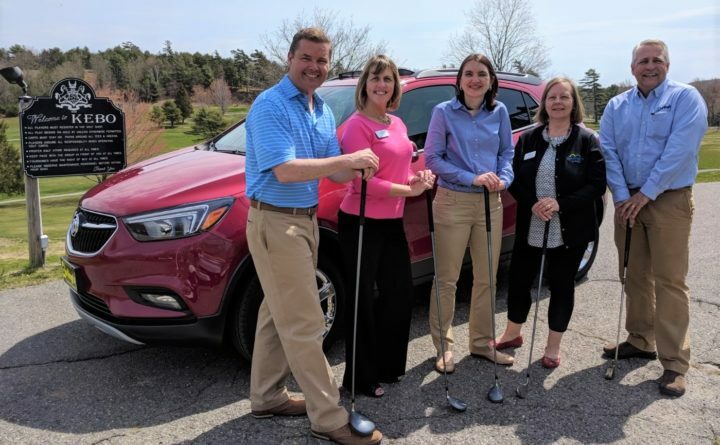 Bar Harbor Bank & Trust invites the community to help raise funds for Island Housing Trust by participating in the tournament as a sponsor, golfer, or donor. Those who have already made a commitment to this year’s tourney include hole-in-one sponsors Stanley Scooters and Darling’s Auto Mall. For more information about how you can participate in the event, go to www.bhbt.com or contact Nataleigh Flint at 667-0660 x11022. Bar Harbor Bankshares (NYSE American: BHB) is the parent company of its wholly owned subsidiary, Bar Harbor Bank & Trust. Operating 49 branch locations across Maine, New Hampshire and Vermont, Bar Harbor Bank & Trust is headquartered in Bar Harbor, Maine and has more than $3 billion in assets. As a leading Northern New England community bank, Bar Harbor Bank & Trust offers a full range of personal and business banking services, as well as wealth management services through its subsidiaries Bar Harbor Trust Services and Charter Trust Company. Bar Harbor Bank & Trust was named one of the 2017 Top 200 Publicly Traded Community Banks in the nation by American Banker magazine. For more information about Bar Harbor Bank & Trust, visit www.bhbt.com or call 1-888-853-7100. Member FDIC.